We are a low-input, perennial- based agriculture farm, dedicated to bringing you products grown and raised in an environment rich in diversity, where all enterprises are multi-purposed and connected. Located in the beautiful and remote Northeast Kingdom, we are a small, diverse permaculture, organic family farm. We nurture 5 acres of apple orchard, 45 milking ewes, lambs, an organic vegetable market garden, chickens, pigs, and a small apiary. What does it Mean to Be a Low-Input, Perennial-based Agriculture Farm? At Cate Hill, we model our practices after nature’s complexity to create a sustainable, thriving ecosystem. Interspersed among our fruit trees are plantings of herbs and flowers, which act as pest confusers and homes to wild pollinators and other beneficial insects. 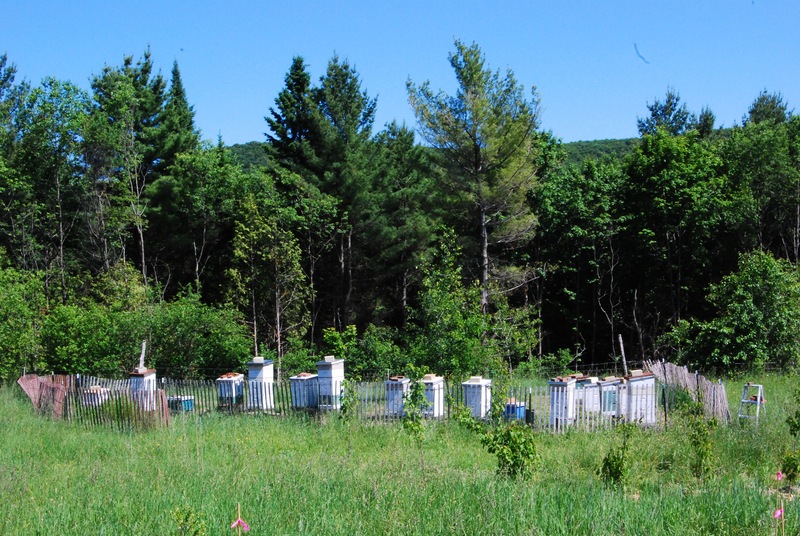 We use the leftover whey from our cheesemaking process as a fungicidal spray for our orchard. Studies done in New Zealand and France have shown that whey can inhibit the formation of the apple scab fungus. We dry the apple pomace left after pressing cider and feed it to our sheep as a milking parlor treat. Planting mint, comfrey, chives, horseradish, mallow, chicory, lupine, Queen Anne’s lace, tansy, daffodils, yarrow, sweet cicely, bee balm, and garlic created a diverse understory in our orchard. These different vertical layers of plants between the grass and the trees contributes to the overall health of the whole orchard system in many ways. We use pigs to dig up pasture areas for reseeding and new beds for plantings of fruit and nut trees. When we can after harvest, we run chickens through the orchard to disturb apple pest habitat and speed up the breakdown of leaves harboring the apple scab fungus. To help create the fungally dominated ecosystem most trees and perennials prefer, we use hardwood chips around the apple trees and berries. 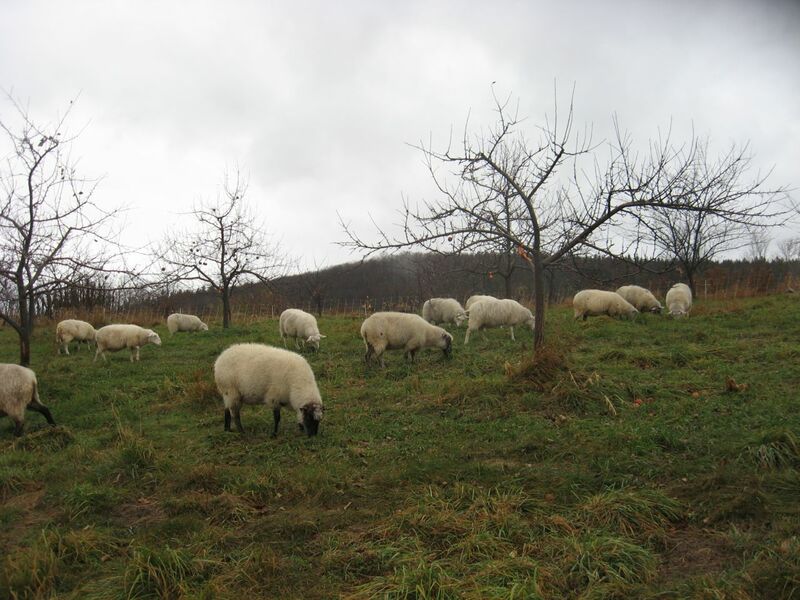 We planted willow trees in our swampy areas to be browsed by the sheep. Willow is a high protein forage and has been shown to be an effective dewormer. Poor quality wool from our sheep is used as mulch around young berries. Cheesemaking demands lots of very hot water for cleaning, so we are built a hybrid system consisting of a wood fired boiler and solar hot water panels. This allows us to meet most of our hot water needs with renewable energy. 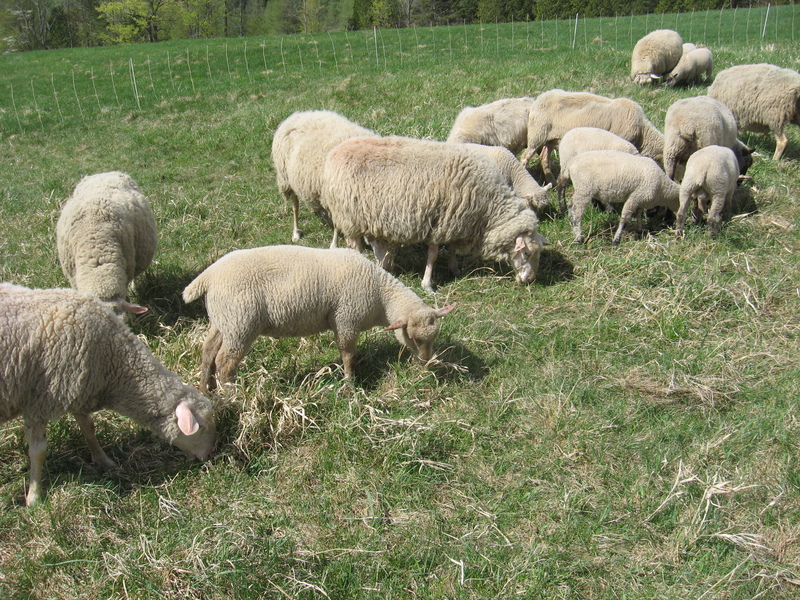 Animals thrive in mixed woods/pasture setting, benefiting from the shade and diverse forage. We turned part of Cate Hill into a silvopasture through low-impact logging and pig power.